It is not uncommon for a motorcycle accident victim to have head trauma, even if they are wearing a helmet. As you can imagine, drunk and distracted drivers pose significant dangers to motorcyclists, as they often cause collisions at high speeds. You can hire a Miami motorcycle accident attorney for a free consultation. Nov 17, 2018 | Under Motorcycle Accident | Posted by Dante Law Firm, P.A. A motorcyclist in critical condition and has lost a leg after an accident last month on Interstate 95. Authorities say that Kevin Crosby, 31, was riding his motorcycle when he fell onto the roadway. While they are not sure why the initial accident happened, they do know that he slid underneath the rear wheels of a passing tractor-trailer. Crosby was taken to Memorial Regional Hospital, where surgeons had to amputate one of his legs. We bring you this story because it highlights how vulnerable motorcyclists are when they go out each day. At the Dante Law Firm, we know that dealing with an accident like this can be difficult. Do you know where to turn if you are involved in a motorcycle accident? If you need a Miami motorcycle accident attorney, you can count on us to secure the compensation you deserve for your accident-related expenses. Looking at those numbers, we can see that almost every motorcycle accident results in an injury or fatality. 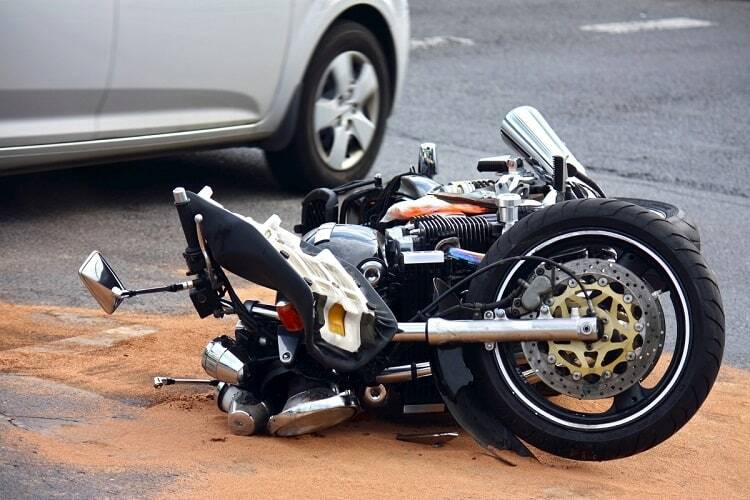 Despite most motorcyclists’ best efforts to be safe on the roadway, when an accident occurs, it can have devastating effects. Motorcyclists have almost no protection from the force of a vehicle. When they are hit, the initial impact and then an impact with the ground can leave a victim with major injuries. It is not uncommon for a motorcycle accident victim to have head trauma, even if they are wearing a helmet. We also commonly see spinal cord injuries, massive internal organ damage, lacerations, and amputations. All of these injuries requires immediate medical care. They often leave a victim with short or long-term disabilities that require extended medical care. Motorcycle accidents happen in much the same way other vehicle accidents happen. Careless drivers often ignore motorcyclists or do not give them enough space on the roadway. As you can imagine, drunk and distracted drivers pose significant dangers to motorcyclists, as they often cause collisions at high speeds. Anytime a cyclist is hit at a high speed, the bodily damage can be tremendous. Regardless of how a driver’s negligence causes a motorcycle crash, they should be held accountable for their reckless behavior. If you or a loved one have been involved in a motorcycle accident that was caused by someone else’s negligence, please seek legal assistance. At the Dante Law Firm, our knowledgeable and experienced team is ready to help you get the compensation you need for all expenses relating to the accident. This goes beyond your medical bills. We want to secure lost income compensation if your injuries keep you from working as well as pain and suffering damages. When you need a Miami motorcycle accident attorney, you can contact us for a free consultation by clicking here or by calling us at 305-949-2526.